You can have these all-year-round, too! (SPOT.ph) No Pinoy Christmas feast is complete without queso de bola but admit it; it's easy to get tired of this cheese when you eat it alone. Fortunately, the sharp notes of the Edam actually works well in a variety of desserts, providing that much needed saltiness to cut through decadent sweets. Read on as we round up where you can get sweet treats that incorporate this noche buena classic around the Metro. 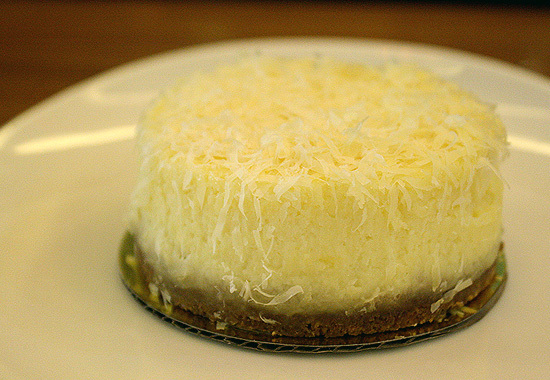 We cannot talk about queso de bola desserts without talking about this Guy. 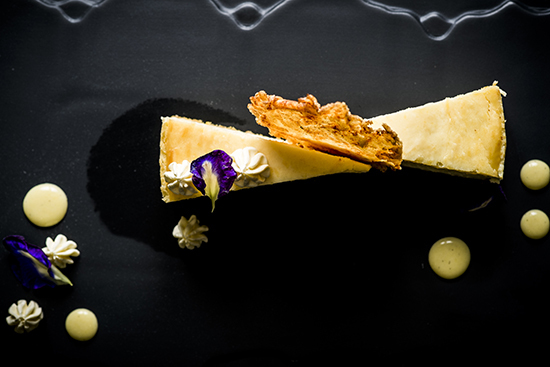 Chef Gregory Guy’s cheesecakes are light but decadent affairs, and his Queso de Bola Cheesecake stands out because of his use of fresh ingredients, like the Edam cheese, which has a sharpness that complements the milder cream cheese perfectly. 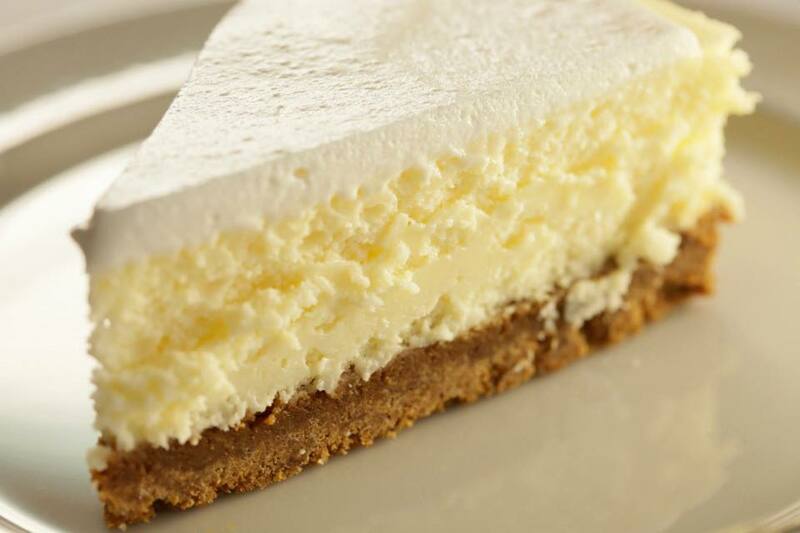 Cheesecakes are avaible for pre-order at the Cheesecakes by Guy official website. 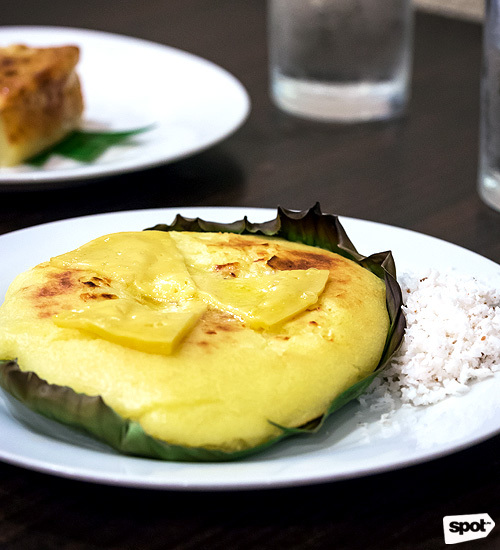 Nothing spells Christmas in the Philippines more than bibingka and queso de bola so why not get both in one warm treat? Every tita knows that Café Via Mare is the place to go for this holiday rice cake. Their version is thick and perfectly chewy, and the cheeses give a nice saltiness to the sweet treat. See a list of Cafe Via Mare branches. We’ve always been in love with Paper Moon and their signature light-as-air crepe cakes, and this year they introduced us to an addicting new flavor. 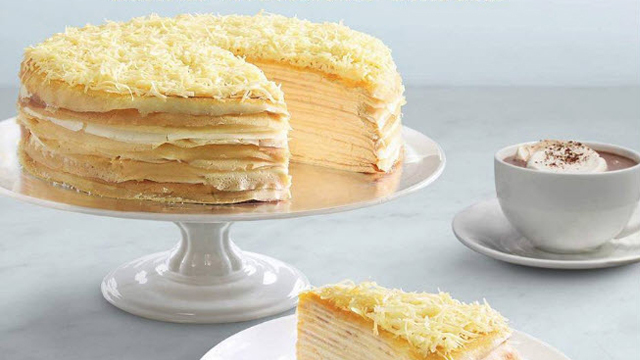 The Queso Real Mille Cake combines the sharp queso de bola with sweet cream cheese which serves as the filling between 20 layers of soft crepe. The whole delicious baby is then topped with lots of salty cheddar for a sweet-salty cheesy treat. While Pi Breakfast & Pies are known for their, well, pies, their pastries are also must-tries. 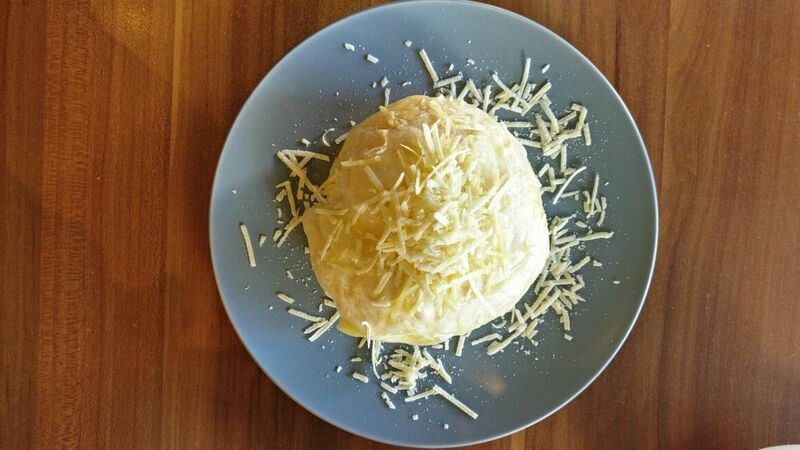 If you’re looking for a light breakfast (as opposed to the place’s all-day breakfast offerings) or a quick snack, the Queso de Bola Ensaymada is perfect. Have it toasted so it comes back warm, with the cheese melting slightly over the soft bread. 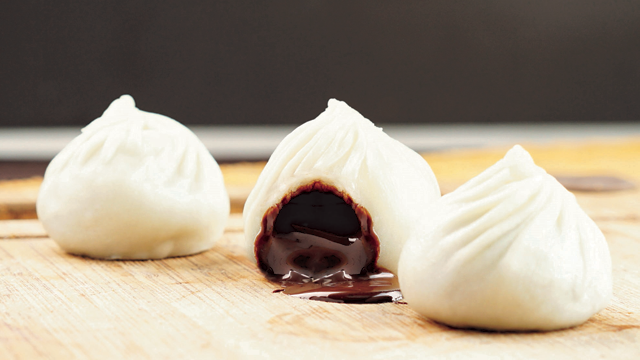 Pair it with a cup of coffee or if you’re already feeling Christmas-y, hot chocolate. Pi Breakfast & Pies is at 39 Malingap Street, Teachers Village, Quezon City. No trip to Filipino restaurant Alab is complete without having at least a scoop of their homemade ice cream. 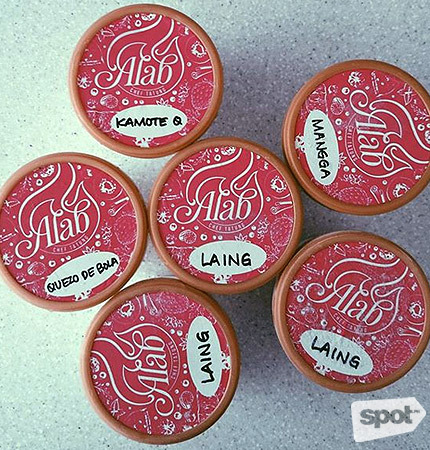 Their queso de bola flavor is actually a bit tamer compared to the other flavors in their line-up (laing ice cream, anyone?) but it’s perfect for cheese sorbetes lovers. The ice cream holds surprise queso de bola bits for perfect bites of saltiness that cut through the sweetness of the cream. Alab is at 67 Scout Rallos Street, Sacred Heart, Tomas Morato, Quezon City; G/F, Venice Grand Canal Mall, McKinley Hill, Taguig City; and 3/F, UP Town Center, Katipunan Avenue, Diliman, Quezon City. The sharpness of Edam just works so well with sweet cream cheese so it’s no wonder queso de bola cheesecake is a popular variation of this Christmas staple. 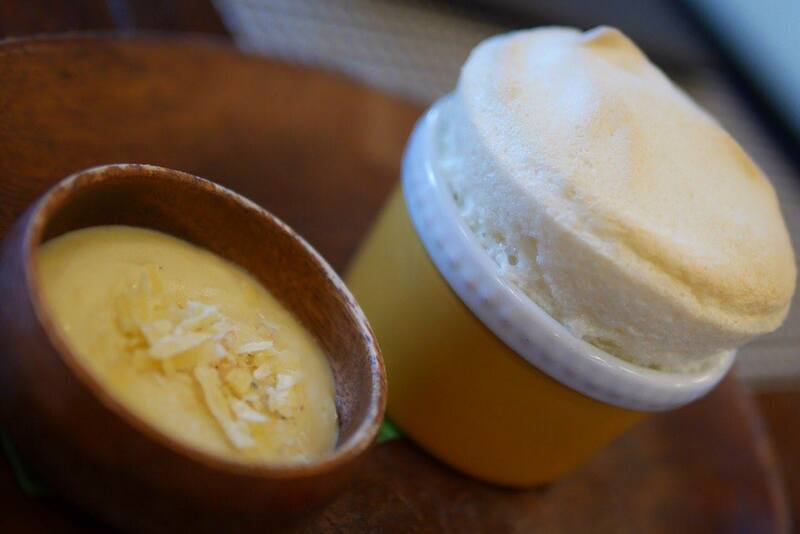 Mara de la Rama’s version is a rollercoaster ride of flavors, with the bites of queso de bola adding texture and saltiness to the cream cheese, while the muscovado whipped cream top gives every forkful decadence. Available only for pickup at Ecology Village, Makati City. For more information, log on to Dessert du Jour's Facebook page. Something we always look forward to once a holiday rolls in is Sebastian’s seasonal ice cream flavors. 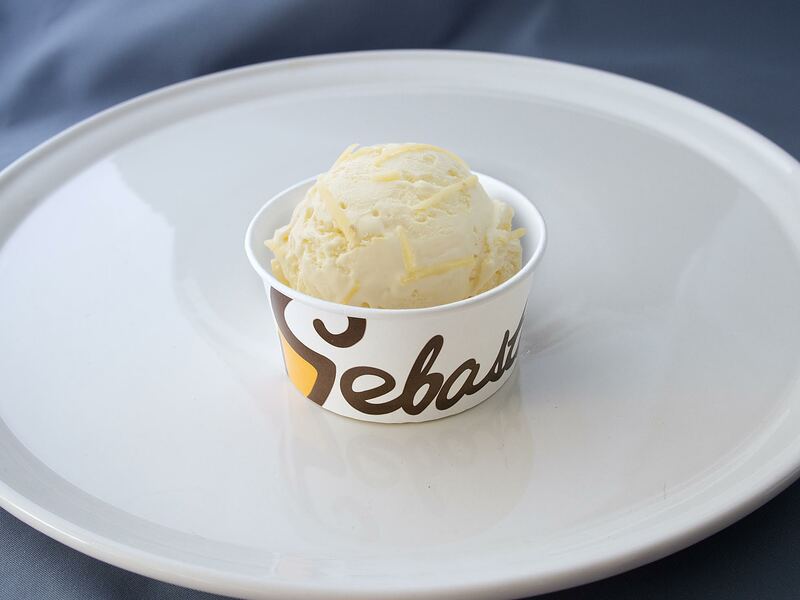 For Christmas, Sebastian’s regularly brings out their limited edition flavors like the Queso de Bola Ice Cream, with the rich cheese ice cream based mixed with grated queso de bola for textured sweet-saltiness. Sebastian’s just announced that they've brought the beloved flavor back, in time for Christmas! Café Macaron is obviously known for their macarons, combining the French dessert with Filipino flavors for an inventive treat. Their best-selling Queso de Bola Macaron has a light and airy crust that gives way to the sharp and creamy filling after a bite for a delicious sweet-salty cheesiness that delights the taste buds. The resulting flavor is super addicting, and we guarantee you’ll want to have more than one piece. 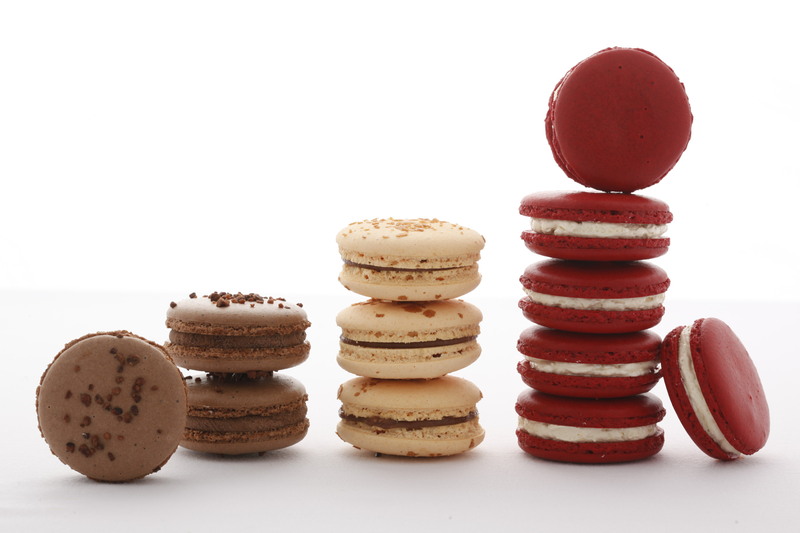 Cafe Macaron is at Fairmont Makati, Raffles Drive, Makati Avenue, Makati City. This dessert was Chef Lica Ibarra’s ticket to Masterchef Asia. This playful take on the bibingka is delicate and fluffy, with Edam and salted egg adding a rich savory flavor to the sweet soufflé. 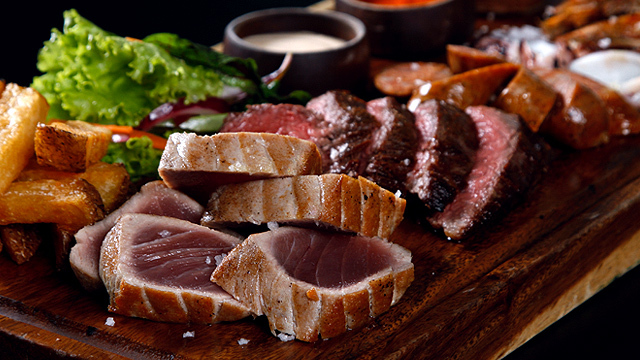 This is best eaten warm and smothered in the rich Crème Anglais sauce that comes with it. Kartilya is at Two Parkade, 30th Street Corner 7th Avenue, Bonifacio Global City. 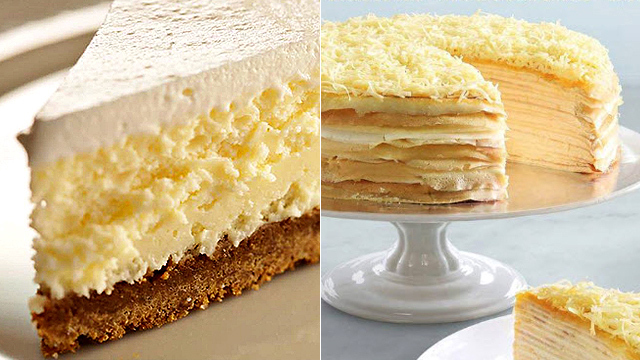 Chef Florabel Yatco's version of this dessert has a stronger Edam cheese flavor that boosts the flavor of the rich cream cheese. It also comes with a queso de bola crisp for an extra salty crunch to your cake. 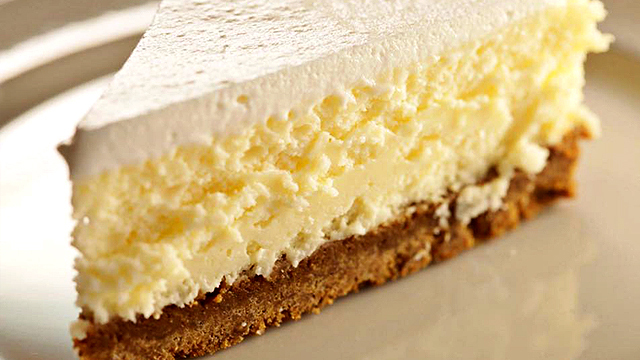 We recommend smothering this cheesecake in the vanilla sauce for a decadent dessert. Florabel is at G/F Estancia Mall, Capitol Commons, Pasig City.